A few months ago my husband & I celebrated our wedding anniversary at the Oregon coast. We decided to check out Oceanside beach after a friend suggested it. We were so thrilled that we chose it as our destination. Haystack rocks of all shapes & sizes. We even climbed on some of them to explore hidden tide pools. I really loved how the fog would come rolling in and settle around the rocks. The sun did make an appearance at sunset. If you ever have a chance to go out yonder, do go. Pssst... There's even a secret tunnel! Art print now available in my Etsy shop. Specify size as 5x7 or 8x10. We had such an awesome time out there that I wanted to capture it. I created this art print so others can embrace the love they have for each other. Feel free to share your favorite spot on the coast & why. Whether it be West or East Coast. Or even if it's beyond the United States. I just came across Maia Flore's enchanting photography work. What I favorite the most is her Sleep Elevations series. Multnomah County Central Library & Finnegan's Toys has a new neighbor for November & December. 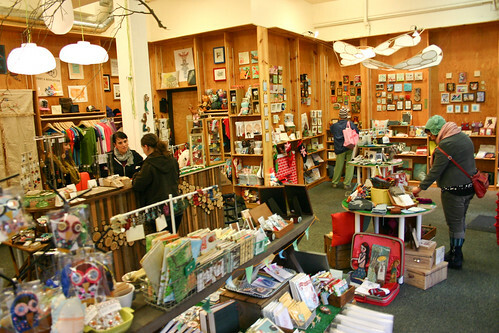 The City of Portland has asked Crafty Wonderland to participate in their Pop-Up Shop program. Basically they fill vacant storefronts downtown with local talent over the Holidays. 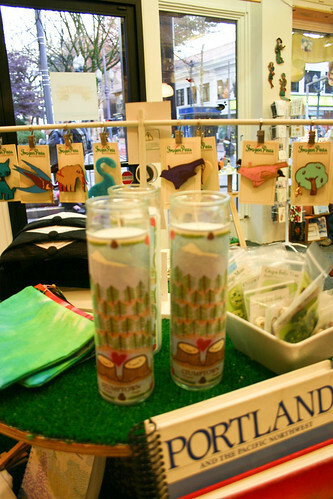 The Crafty Wonderland ladies have exclusively hand-selected 80-some awesome crafters & artists to sell their hip handmade work at their storefront in downtown Portland. 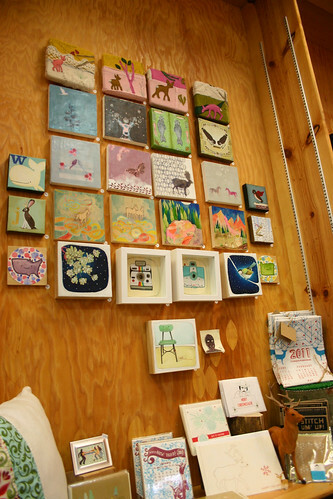 They call it a "pop-up shop" because it is only open temporarily, from November 9th through December 30th. I was pretty stoked to be asked to sell my artwork and jewelry there, along with all the other local talented artists & crafters. 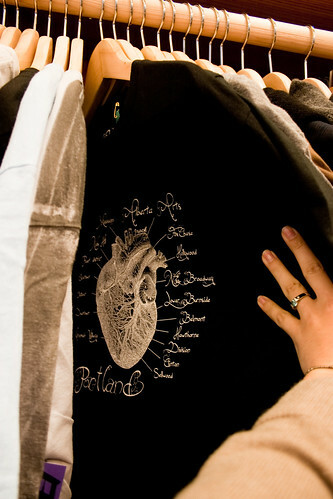 The shop is located at 802 SW 10th Avenue in downtown Portland. It's on the corner of SW Yamhill & 10th. There's a SmartPark parking garage right across the street. Oh so very convenient. There is also parking available at metered street spots. 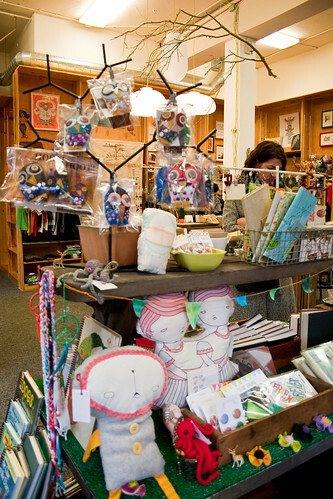 The shop is open from 10:00am – 7:00pm, Monday through Saturday and 12:00pm – 6:00pm on Sundays. There are going to be some fun special events at the shop. For example, wacky holiday photo booth on December 4th, which is this coming Saturday. For more information about events, visit www.craftywonderland.com/pop-up-shop. 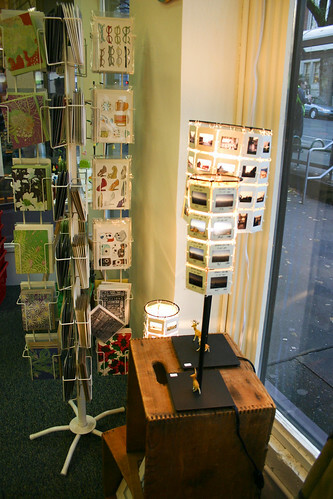 I took lots of snaps of the shop and have posted some below. If you would like to see more of them, hop on over to my Flickr here. 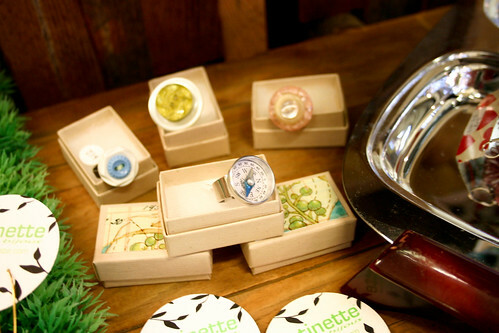 Give the gift of handmade this year. Instead of giving your dad a clichéd sweater, give him some something creative and unique! Support a local artist. Viva handmade!